I’ve plugged Mark Newman’s maps before. But here’s his 2012 page, filled with beautiful and informative election maps. He’s improved the algorithm so states retain their shape better. For presidential elections, we should be using this map (with state area tied to electoral vote) rather than the geographical one. Our eyes can’t adjust for population density; on this map it’s immediately evident who won, and it’s not so distorted as to be ugly or hard to read. 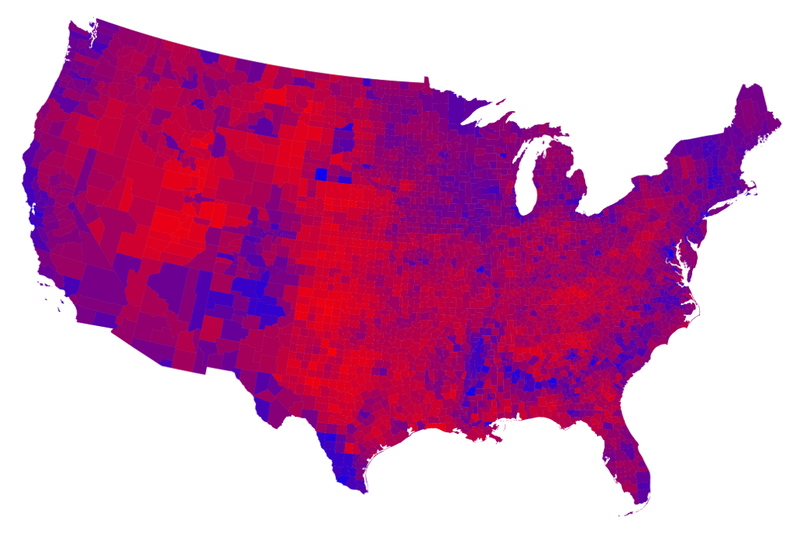 I also like this very pretty map of counties, colored by percentage of Dem/Rep presidential votes. In this case I like the geographical map better. 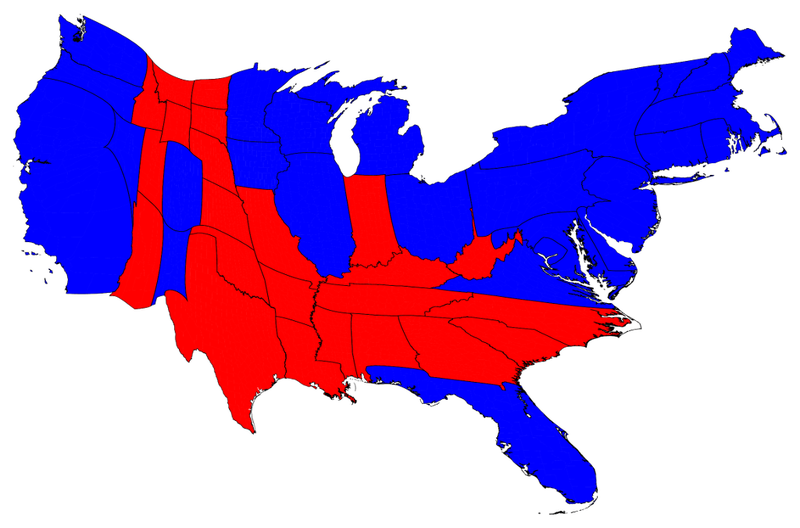 The cartogram version is more informative, in that it shows that the country is really mostly purple with blue areas– the all-red counties are very few. But it’s much harder to read.